With a very warm winter, everything has been blossoming early. But, nothing beats my aprium tree, which had a profusion of blossoms in January. It is now loaded with young fruit about the size of a quarter. 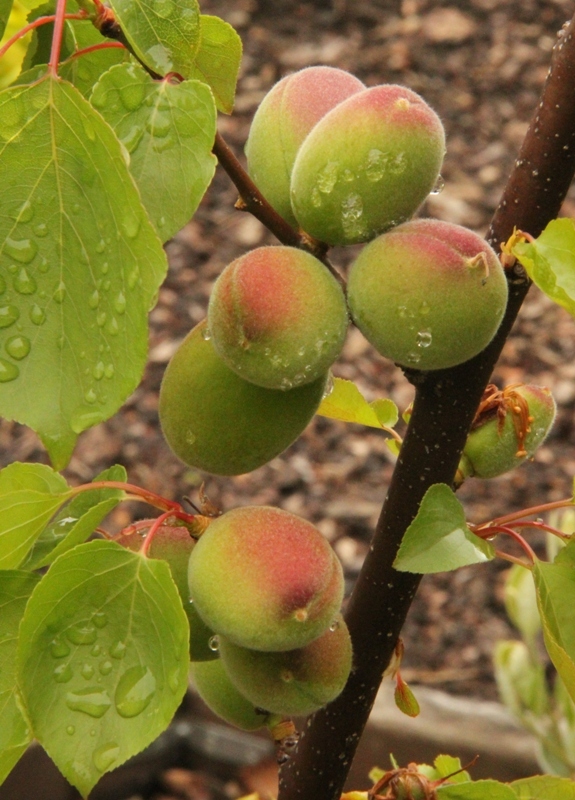 I had my first apriums last year and they were delicious–tangy like an apricot, sweet like a plum. They’re especially good as an accent to hot or cold cereal. I’m looking forward to more of these flavor bombs this year–and very soon, by the looks of it!